The Girl Scout Cookie Program is a unique opportunity for our girls to not only earn money as a troop to use for activities and fun field trips, but also to develop important life skills. It is the largest girl program in our council with over 80% of Girl Scouts participating. With each box of cookies costing $5, where does all that cookie "dough" go? Troops that submitted Intent to Sell Cookie by noon on Saturday (11/17) should have received an email stating they qualify or if they were missing something. If it's a training that is missing, let the Registrar know that the missing trainings have been completed and I'll verify that everything is updated with the council reports to reflect as such. Remember that if you are going to have adults register to help with cookie booths and such, try to get them registered sooner than later. Keep checking your troop roster for accuracy and if there is a girl or adult that is no longer participating, please communicate the situation with the registrar and the girl or adult can be moved as needed. Each year, thousands of cases of cookies are dropped off at a warehouse in Tualatin. Each troop is invited to sign up for a time to come pick up their initial order from this warehouse. BUT WE NEED YOUR HELP to make this all happen. It’s crazy chaos with so many cases going from point A to point B. No single person can do this. A lot of volunteers will sign up to volunteer on depot day a few hours before their cookie pick-up slot. Please consider helping out! 1) Please confirm your pick-up time on Friday 2/8 - I sometimes need to nudge times around near the end to get the last few troops in. I attempt to contact those troops that are affected, but it is always best to check. 2) A few days before warehouse day I will put a freeze on the times so that I can start printing materials. It is important that you contact me directly if you MUST make last minute changes - please this should be last resort only. 3) It is important that you have enough vehicles to take your entire order in one trip, we are not prepared to split orders to allow you to make multiple trips - this wreaks havoc on our operation...don't do it! 4) It is your responsibility to count your cookies, sign for them, and count them again when you get home. IF you find that you arrive home with more or less cookies than you should, double, triple, quadrouple check, then contact me immediately so I can see if I have them on my end. 5) Warehouse day is hectic. Be calm, go with the flow, be prepared for a lot of traffic and directions. We're all volunteers and we're working the best we can to get the cookies out the door as quickly and smoothly as possible. 6) Make sure all the people who are coming to pick up know our Service Unit (SU8), Your Troop Number, Pickup time and LANE (1/2/3) and what they're expecting to get. We are still in need of volunteers, particularly 11:30-1:30pm and "Tall Guys" (over 5'10"), please sign-up if you can. Thanks to all those who have already! All information courtesy of our Depot Day Coordinator! Questions? Contact the Product Manager email at product.su8.girlscouts@gmail.com. Answer the questions along the way. Once done, follow the link provided to complete a short form. Attendee will receive an email confirmation upon completion. How do we know someone took the training? SU team will have access to completion information on membership/training reports provided twice a week. (Since attendance may not be recorded for up to 3 business days after it is taken, when it shows up on the bi-weekly SU reports may take even longer). ** I can look up requests if sent to Registrar to Confirm. Can troops show the training at their parent information meeting? YES! The tricky part is making sure the families get credit. TPMs should take attendance/have a sign in. Provide attendance date, email, first name, last name, phone number and troop number. Forward that list to cookies@girlscoutsosw.org and we’ll work on getting the trainings entered for all attendees. It may take up to 3 business days for the individual’s records to be updated. Where and when can I sign up for booths? What if someone else has the booth and time I want? NEW THIS YEAR: you can click “Notify Me If Slots Open” next to a booth that you’re interested in. There’s no limit to how many people can be waitlisted on a booth, nor how many booths you waitlist for. Once a booth is dropped or cancelled, those that are waitlisted for it will be notified via email within minutes that it is available. At that point, it is first-come, first-serve to the person who goes in eBudde and claims it. If you were on the waitlist for that booth, but didn’t reserve it in time, you will remain on the waitlist in case it’s dropped again. The process will repeat itself thereafter. Do I need to post on FaceBook that I’ve dropped my booth? No. Those that are waiting for you booth slot should have clicked “Notify me if slots open” and they will get an email saying that your booth has become available. What do I do if I run out of cookies during my cookie booth sale? NEW THIS YEAR: you can exchange cookies inside eBudde under the Cookie Exch dropdown. Here, you can look for the cookies you need, or you can tell the community what cookies you have extra of. 2019 Cookie Program Family Guide: Meet the cookies, understand the cost of cookies, how to do booth sales, how to use digital cookie (DOC), how to manage the cookie money, approved selling methods, a monthly checklist and so much more! Cookie Pro 2019 Contest: All the information you need including dates, tips, templates, requirements and more to win the grand prize! Little Brownie Bakers: Want to make this cookie season the best one yet? Check out some of the fun activities and materials for girls from our partners at Little Brownie Bakers. Troop Leader Resources: Need materials to make your booth the best booth ever? Download posters, banners, name tags, receipts, thank-you cards, and more at girlscoutcookies.org. Girl Scout Cookie Program forms: Find helpful forms and publications related to GSOSW's Cookie Program. eBudde: A Web-based Girl Scout Cookie Program management site for volunteers, provided by Little Brownie Bakers. Digital Cookie: Cookie seller login site for the new Digital Cookie! Q: What are the approved selling methods my troop and I can partake in? 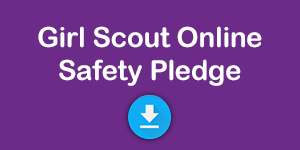 Read the Approved and Prohibited Selling Methods document to make sure your troop is putting every girl safely in the driver's seat! Q: HELP, I have a parent who has not turned in the money for cookies owed. What can I do? Do not pay for these cookies from your troop proceeds. Communicate all issues as early as possible to our product.su8.girlscouts@gmail.com and include your troop number, the name of the girl and the reason (if any) for non-payment. Send a copy of the signed parent permission form and the receipt signed by the parent when they picked up the cookies. The parent will then be contacted by the product team or by council. Q: Where can I get more information about deposit slips and money? Read the Deposit Slip FAQ guidelines to have all your questions answered. Q: I need more cookie order forms and/or envelopes, where can I get them? Contact Christal Sanders with your request. Q: We don't want to sell cookies. Can we opt out? As long as every girl scout has been given the opportunity or choice to sell products, they don't have to do so. If the entire troop chooses to forgo cookie sales, you may do so by filling out the Girl Scout Cookie Program Opt Out Agreement form. Q: Is there a family checklist that has all the dates and information a parent would need to know? Why yes, there is. It's the last page of the the Meeting in a Box document. Q: What does girl-led really mean? Realistically I can't let my daughter make all the decisions on her own. Watch this short video: What do grown ups need to know about selling Girl Scout cookies?